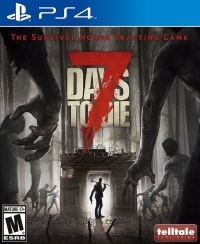 Box Text: How long will YOU survive? 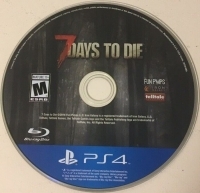 Set in a brutally unforgiving world overrun by the undead, 7 Days to Die features unrivaled crafting, world-building, and survival. 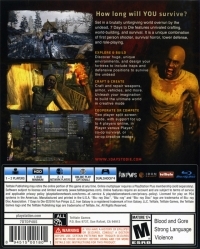 It is a unique combination of first person shooter, survival horror, tower defense and role-playing.